The health humanities are widely understood as a way to cultivate perspective, compassion, empathy, professional identity, and self-reflection among health professional students. This innovative book links humanities themes, social science domains, and clinical practice to invite self-discovery and recognition of universal human experiences. 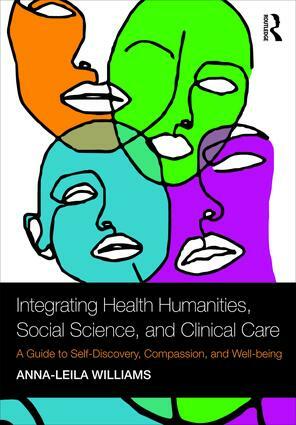 Integrating Health Humanities, Social Science, and Clinical Care introduces critical topics that rarely receive sufficient attention in health professions education, such as cultivating resilience, witnessing suffering, overcoming unconscious bias, working with uncertainty, understanding professional and personal roles, and recognizing interdependence. The chapters encourage active engagement with a range of literary and artistic artefacts and guide the reader to question and explore the clinical skills that might be necessary to navigate clinical scenarios. Accompanied by a range of pedagogical features including writing activities, discussion prompts, and tips for leading a health humanities seminar, this unique and accessible text is suitable for those studying the health professions, on both clinical and pre-clinical pathways.